Prices continue to tumble in this once booming market, but its local association still sees a silver lining. 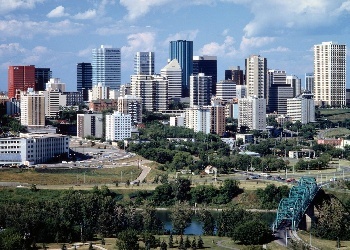 “Alberta’s economy has been under enormous pressure for some time, but the residential real estate market in the Edmonton Census Metropolitan Area continues to hold. Prices and unit sales for all residential homes are consistent with last year, down less than 1% and 2% respectively,” Steve Sedgwick, chair of the REALTORS Association of Edmonton said. Prices may be consistent year-over-year, but they slipped month-over-month in August, according to a report sent to local agents that was shared with MortgageBrokerNews.ca. The average home price in Edmonton fell 4% to $369,956 from July to November. The average single family home price fell 4% to $434,362 month-over-month and the average condo price dropped 2% month-over-month to $251,526. A total of 1,433 homes were sold in August. That’s down 5% month-over-month and 2% year-over-year. The average days on market remained stable at 55. That’s the same as August 2015 and down one day month-over-month.